Ines Fiorio, wife of Mario Fiorio passed away at her home Tuesday May 23, 2017 after a lengthy illness. 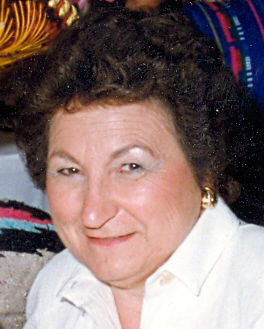 Long-time resident of Gilroy and long-time active member of The Italian Catholic Federation. Mother of Julie Tomasin (John) of Windsor, CA, Francine Vorhees (Jon) of Roseville, CA, Carol Duncan (Arliss) of Carmel, CA, Danny Fiorio (Dina) of Gilroy and Richard Fiorio (Ann) of Gilroy. Grandmother of David, Chris, Mikey Tomasin, Josh and Justin Vorhees, Carissa and Danny Duncan, Hannah, Zoe and Bailey Fiorio, Ryan, Graden, Luciano Fiorio and great grandson Nathan Mario Vorhees. Sister of Lino Valbusa of San Mateo and the late Esther Perucca and Celeste Zamzow. Daughter of the late Mariano and Elisa Valbusa. A native of Meridian, CA. age 86. Family would appreciate donations to St. Mary School or Juvenile Diabetes Research Foundation at www.JDRF.org Northern California Inland Chapter.